Hanoi (VNA) - No State-owned enterprises (SOEs) gained approval for their equitisation plans in the first three months of 2019, according to the Ministry of Finance’s Corporate Finance Department. 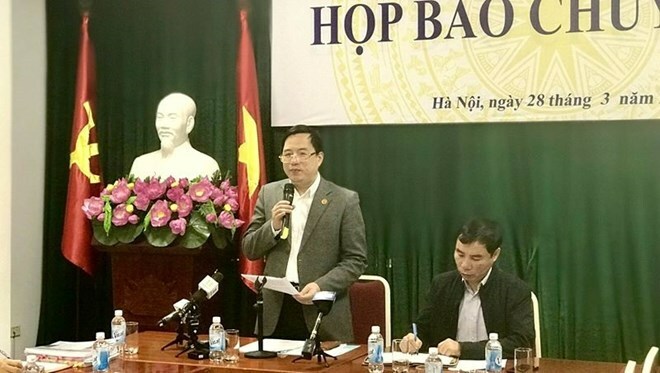 Dang Quyet Tien, General Director of the Corporate Finance Department, said at a press conference on March 28 that the lack of approvals had slowed the equitisation plan set by the ministry for SOEs under its management. In 2019, the Ministry of Finance has set a goal to equitise 18 SOEs, plus 41 SOEs left over from 2018 that failed to meet their targets. If the SOEs did not make any progress, they would likely fail to accomplish their plans on schedule, Tien said. Factors slowing down the equitisation process include the SOEs’ scale of business and assets – which require careful valuation to avoid losses for the State budget – and land issues, he told reporters. Some of the SOEs had not completed their land use plans and submitted them to Government agencies, Tien said. Local authorities should also take responsibility for the late equitisation as officials have performed poorly in inspecting and issuing land use certificates for SOEs, leading to delays, he said. Under Document 991/TTg-DMDN dated July 10, 2017 by the Prime Minister, the finance ministry is responsible for pushing the equitisation of 127 SOEs, including 82 that must undergo the process in 2018 and 2019. In 2018, 23 SOEs got approval for their equtisation plans with total corporate value of 31.7 trillion VND (1.36 billion USSD), 53 percent of which is State capital. Total charter capital of the 23 SOEs was 20.3 trillion VND, 60 percent of which is State ownership. Those firms sold 2.54 trillion VND worth of shares to strategic investors and 5.43 trillion VND worth of shares through initial public offerings (IPOs).